Uber, the car hailing app company that just raised a round of funding at a whopping $17 billion (or $5.9 billion depending on what you read) valuation, is known for their fun promotions. During the 2013 inauguration Uber users in DC got to experience riding in a presidential motorcade. The company has also delivered ice cream, kittens and a host of other things. They even paid for my own Uber ride and slipped me a little extra change when one of their executives needed to jump me in line to get to a meeting at the Democratic National Convention in 2012. So they love making noise, making people happy and having fun. It’s actually a great positive attitude to have when on the other side of the equation they are constantly battling new localities and municipalities when they open a new office. So, like most other tech geeks the folks at Uber were raised on Transformers and to celebrate the release of the upcoming Transformers movie they’ve decided to give back to their Transformer loving communities with rides on Optimus Prime. Uber began offering “Autobot” rides in Dallas Texas on Monday and will bring the Autobot leader to Phoenix Arizona on Thursday and Los Angeles this Saturday June 21st. 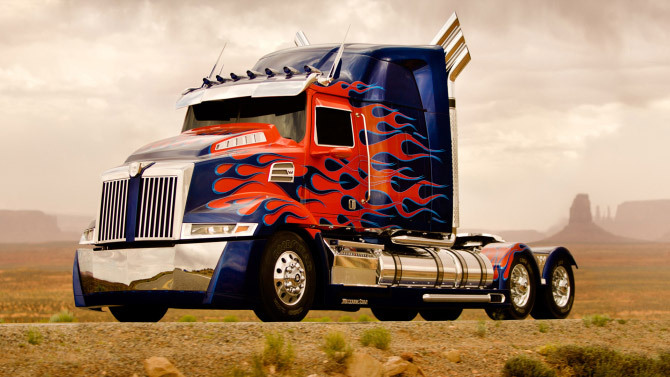 For this promotion Paramount, the movie studio behind Transformers: Age of Extinction, partnered with Uber and Western Star 5700 trucks which replicated Optimus Prime to the “T”. Uber users in Phoenix and Los Angeles can enter the code “Transformers” into their Uber app then select Autobots option to ride between the hours of 1pm and 7pm on their respective days. Customers will be served on a first come first served basis and if you’re lucky enough to get an Optimus Prime pick up you can ride free anywhere within a 15 minute radius. I guess that means Uber is more than meets the eye too.